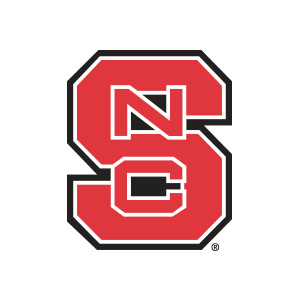 Iowa City, Iowa-native Mark McGlaughlin has given a verbal commitment to join the North Carolina State University Wolfpack beginning in the fall of 2016. 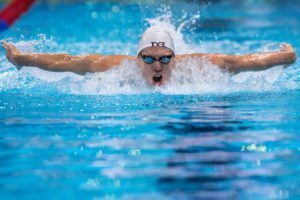 McGlaughlin is a senior at Iowa City’s West High School, where he won the both the 50 yard free and the 100 yard free titles at the 2014 and 2015 IHSAA State Swimming Championships. As a sophomore, McGlaughlin earned the crown in the 50 with 20.67; last year he was 20.54 in prelims and 20.73 in finals. In the 100 he won with 45.00 as a sophomore and 44.73 his junior year. 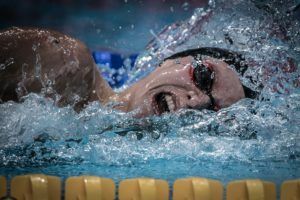 The Wolfpack has become one of the premier sprint programs in the country; four of the top-8 finalist in the 50y free at the 2015 ACC Championships came out of NC State, and only one of them has graduated. 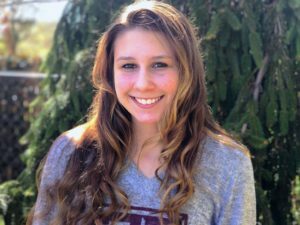 With McGlaughlin’s commitment, the Wolfpack picks up the country’s fifth-fastest 17-18 year old 50m freestyler from the 2015 long course season, and the tenth 100m freestyler. McGlaughlin has a way to go before he will score points at conference championships, but his time drops this summer (5/10 in the 50 and 8/10 in the 100) are encouraging. Congrats Mark! 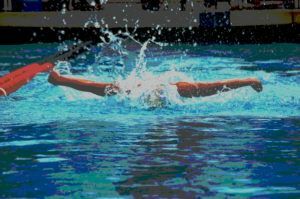 It will be exciting to watch you as a Wolfpack Swimmer, joining the long line of RED LEGEND PRIDE! The school is awesome, Raleigh, NC is a great city and of course what an outstanding staff and team NCSU has! Good Luck and Congras again! 3-time OT qualifier? He is most likely 18 so he made it as a 10 year old??? youngfish11 – I think the implication is “three event.” Will clarify that wording. Just a point of clarification. Iowa HS State Championships are timed finals, sadly, so Mark’s times in the first paragraph for his 50 are incorrect or are using the District meet as the “prelim”. In High School Competition, Iowa is still stuck in the stone ages. It’s run by a bunch of old dudes who know little about competitive swimming and has nothing to do with promoting the talent within the state. More and more top-level Iowa kids are skipping HS competition for that reason. It’s great to see yet another Iowa kid rise to the national level. Good luck Mark!